We’ve already reached that time of year when we start making predictions and setting strategies for the Chinese social media apps marketers should use in 2019. 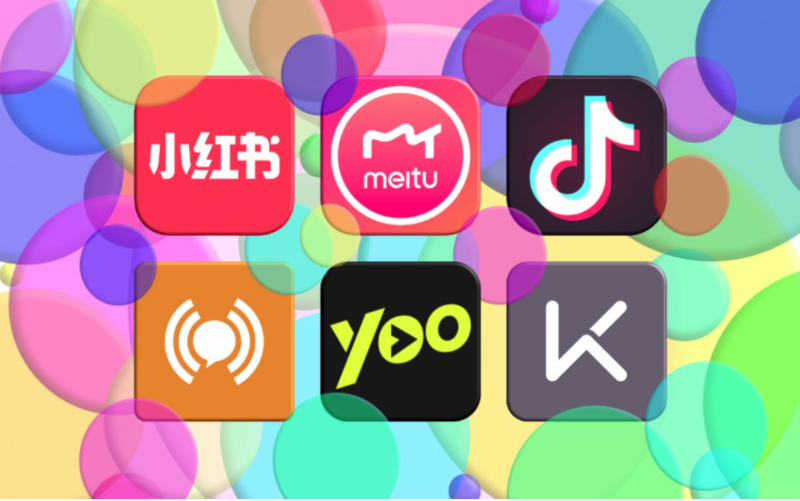 So, we thought we’d take another stab at predicting which Chinese social media apps will be popular in 2019. Xiaohongshu was one of our “5 Chinese Social Media Apps Marketers Should Use in 2018”, and it’s still on our list because it’s on the hyper-growth track for 2019. In the last year, the platform has more than doubled its registered users to 150M and has nearly tripled in monthly active users (MAU) to 30M. And the platform still has plenty of ability to grow with help from an Alibaba-led $300 million investment round completed earlier this year in June. Even though Xiaohongshu has become all the buzz with KOL marketers, the majority of brands still don’t fully understand what the platform is all about. Most brand marketers focus too heavily on its e-commerce features. The truth is, the power of Xiaohongshu lays in its social recommendation engine that searches user-generated product reviews. In the era of increasingly short and shallow content, the in-depth, informative posts found on Xiaohongshu are a fresh breath of air for overwhelmed consumers who are trying to figure out what to buy. Despite concerns about the platform growing too fast, the influx of celebrities and celebrity-related content, and increasingly strict monitoring of sponsored posts, Xiaohongshu is currently one of the best marketing platforms in China. Meipai, once a top short video platform in China, has all but died. But not to worry, parent company Meitu has quietly launched a new social platform and it already has more users than Meipai and Xiaohongshu combined. Meitu is in the process of transforming its namesake photo editing app into what it calls a “photo-social platform”. Meitu’s social media features are a fully integrated part of the Meitu app experience. Users can upload photos and videos and use hashtags to join related topics. As we mentioned, Meitu is huge, with 350 million monthly active users. Three in five of those who use Meitu are between 18 and 30 years of age, with women making up 81% of its users. While it is still in the very early stages, it appears that it is off to a good start with decent user engagement. The main struggle Meitu will face is keeping up with increasingly fast-changing aesthetic standards among Chinese consumersas foreign photo editing apps are also gaining traction in China. If you don’t know Douyin and how it rocked the Chinese social media ecosystem in 2018, then you’ve been hiding under a rock. Douyin is arguably the most beloved app among China’s youth. Douyin claims to have more than 200 million daily active users (DAU) and more than 400 million monthly active users (MAU). As Douyin has increased in popularity so has the cost of working with Douyin influencers. And though extremely popular, the app has frequently been the center of heated discussion among marketers. Most Douyin marketing debates focus on ROI, brand x Douyin suitability, and shifting user demographics. Douyin is on our list of Chinese social media apps marketers should use in 2019 purely because it’s likely to remain popular. However, we expect user growth plateau in 2019 and suspect we might see some user fatigue for the super short video format. If your target market is the health and fitness industry, this app is for you. Founded in 2014, Keep is a mobile fitness app provides online fitness training programs and social media functionality. The app enables users to share pictures, videos, workout routines, and meals. This past summer, Keep launched a popular WeChat Mini Program version of the app. While the platform has been quite popular among the Chinese fitness community, it is poised for massive growth as Chinese consumers are becoming increasingly interested in “self-care”. Investors seem to agree as Keep closed a $126 million series D funding round in June of this year. Apart from online fitness programs, Keep also sells fitness hardware and sportswear. They have also begun to venture into the offline world with a Keepland fitness center in Beijing. Even though Weitao isn’t an independent app, we believe it deserves to be on the list of Chinese social media apps marketers should use in 2019. Weitao is Taobao and Tmall’s native social media platform. Weitao lets regular users, influencers and brands post product-related content in Taobao and Tmall to accumulate followers, drive traffic, and make sales. Consumers use Weitao to discover and research products via educational and entertaining content. Weitao’s social commerce ecosystem is very similar to Xiaohongshu. The main difference is that content on Weitao directs users to products sold either on Taobao or Tmall, while Xiaohongshu links to its own e-commerce ecosystem. While Weitao has been around for several years, its seamless integration into Taobao has kept it under the radar. However, there is a robust ecosystem of content creators using it, and the numbers are growing. Sources tell us that Alibaba will be actively working to attract more influencers and celebrities to the platform in 2019. Tencent’s Weishi has been trying its best to compete with Douyin, but it hasn’t taken off. However, Tencent just launched a new short video platform called Yoo, which might be worthy of our Chinese social media apps marketers should use in 2019. Unlike Tencent’s myriad of Douyin copycats, Yoo has some unique features that set it apart. The homepage layout looks similar to Kuaishou and doesn’t automatically play videos like Douyin. A key difference is the average length is between 1-3 minutes. Yoo is also heavily focused on bringing in high-quality PGC and PUGC content, they even have original shows. In a twist on Douyin’s Challenge feature, Yoo has what it calls “Yoo 赛道” or Yoo Race, which are themed contests. Content creators can use a hashtag to submit their video to a contest and other users can vote on the videos they like. Each user gets a limited number of votes each day. Another unique feature is what they call “有模版” or video templates. While it is common for short video apps to include video editing tools such as filters, stickers, AR, and slow motion, Yoo goes to a whole other level with drag and drop video editing and content prompts for a number of categories including comedy, travel, shopping, vlog, holiday, and more.